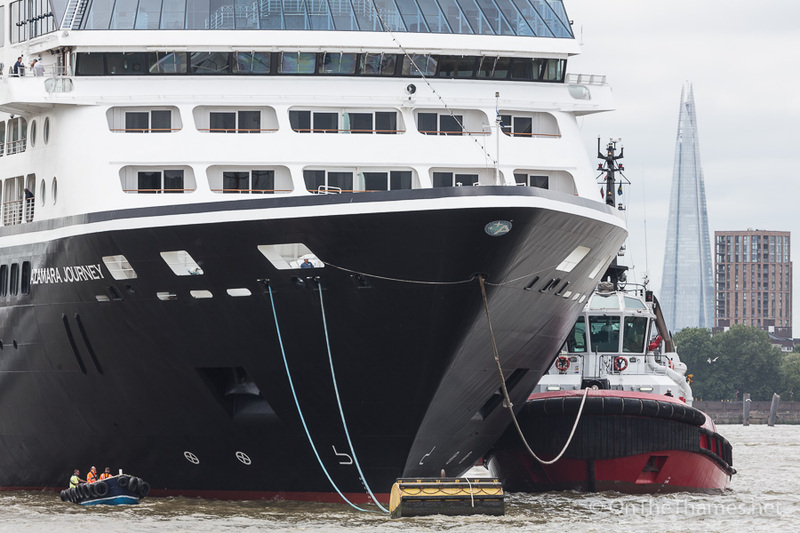 30,000 TONNE cruise ship Azamara Journey sailed up the River Thames on Saturday to complete her first round the world trip. 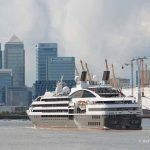 The 102-day World Journey cruise started in Sydney in March and included visits to 28 countries before concluding in London at the weekend. 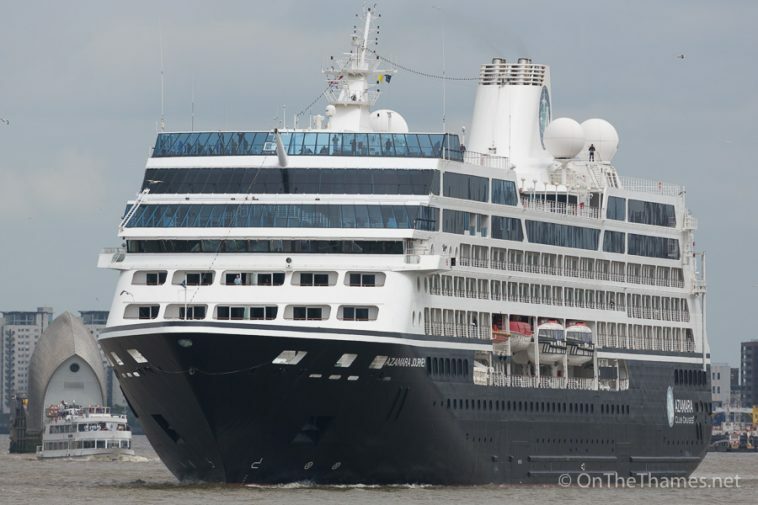 53 guests were on board the Azamara Club Cruises vessel for the whole of the 21,619 mile cruise while thousands of others joined for individual segments. 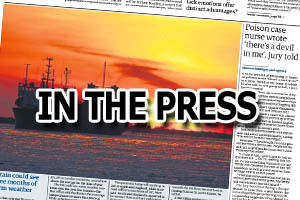 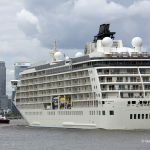 The ship, which has a capacity of 690 passengers, passed through the iconic Thames Barrier shortly after 2pm and was turned at Blackwall before being assisted backwards to the PLA's floating cruise ship terminal at Greenwich Ship Tier. 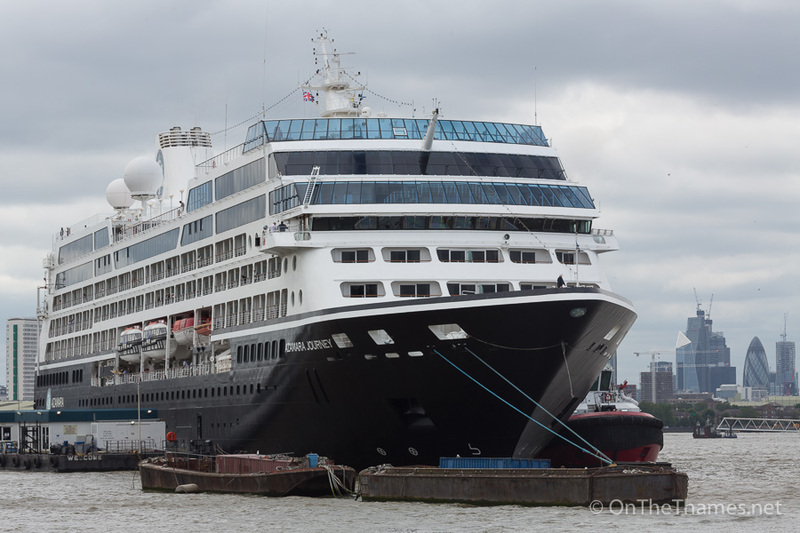 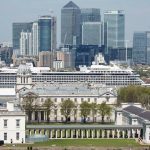 Azamara Journey's arrival was the fourth of sixteen cruise ships schedule for Greenwich this year. 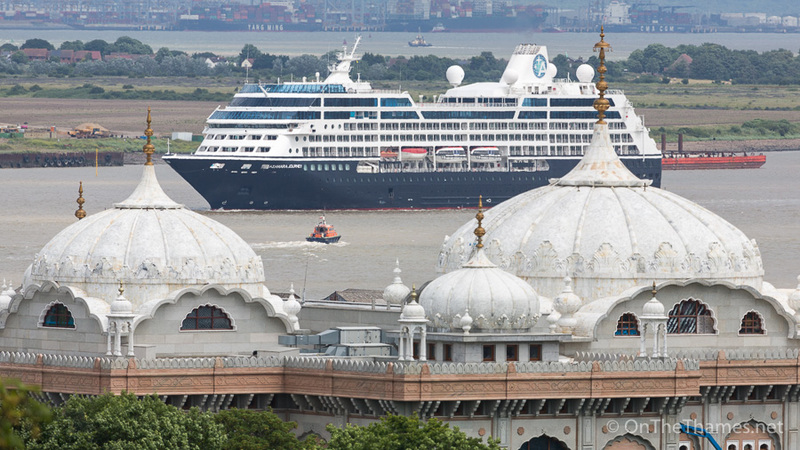 The 30,000 tonne cruise ship seen passing Gravesend's Sikh temple. 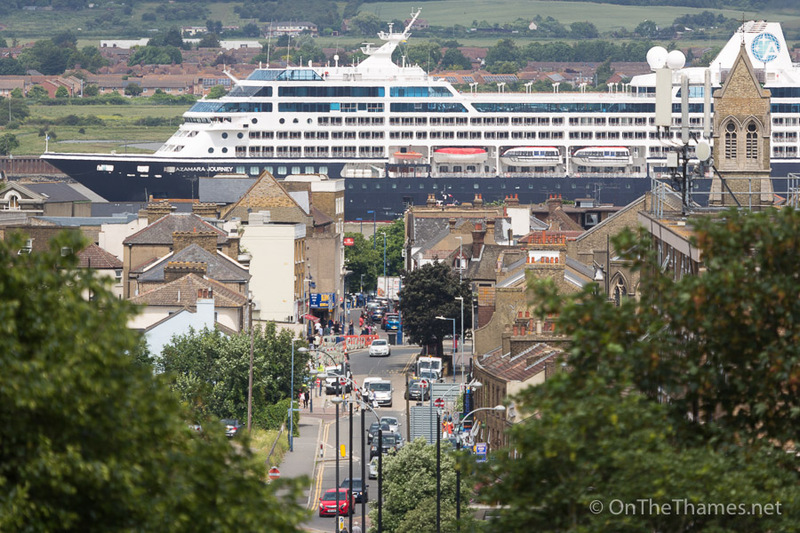 Azamara Journey sails past Gravesend. 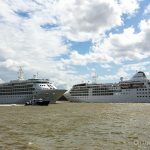 The cruise ship passed through the Thames Barrier shortly after 2pm on Saturday. 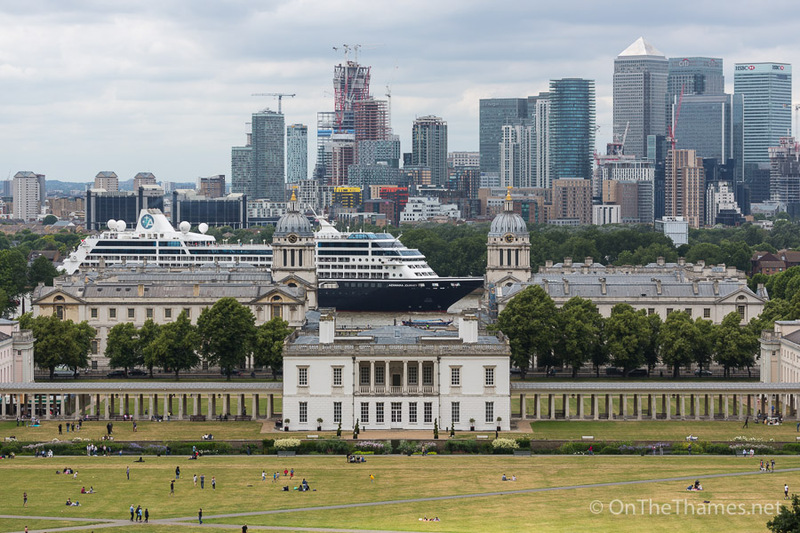 She is the fourth cruise visitor to Greenwich so far this summer with another twelve due. 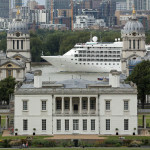 The bow of the ship seen passing the dome above the Painted Hall at the Old Royal Naval College. 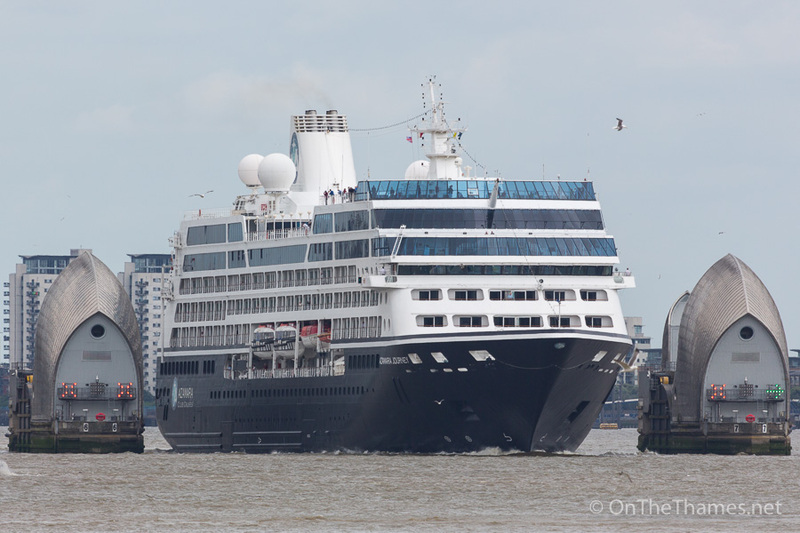 The Shard seen behind the ship as she is moored in Greenwich Reach. 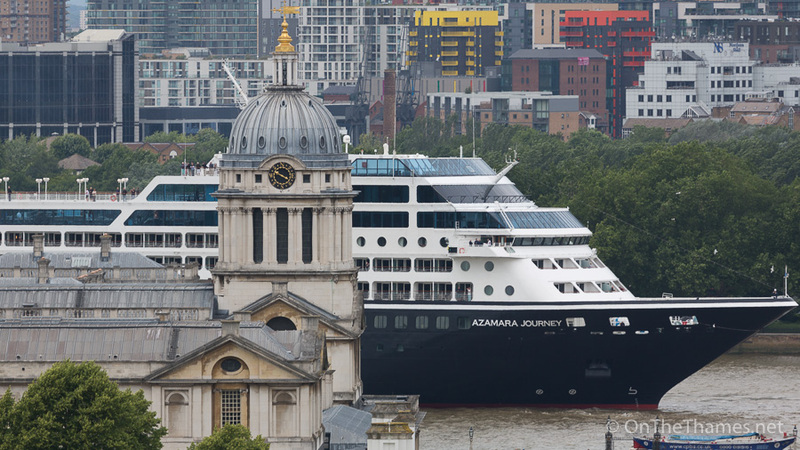 City of London skyscrapers in the background Azamara Journey completes her journey. 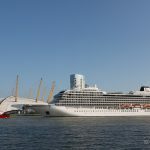 She departed from London on Monday morning.